“Sam was there at GIS ground zero when the application of GIS started getting traction among scientists and decision makers.” These words refer to Sam Wear, who has been an advocate for GIS for more than 30 years. The speaker is Wear’s longtime friend Peter V. August, a professor at the University of Rhode Island and fellow proponent of GIS. Wear was introduced to GIS in the early 1980s while studying for his master’s degree in natural resources management at the University of Vermont (UVM) following receipt of a bachelor’s degree in wildland recreation management from the University of Idaho. He was working in Gary Smith’s lab, one of the first to use a new technology—GIS—to support natural resources management. The lab was such an early adopter that Wear began his GIS career using Esri’s first product, PIOS (Polygon Information Overlay System). When Wear completed his graduate studies at UVM, he intended to pursue a doctorate at the University of Montana, but before heading there, he made a side trip to New York State that turned out to be doubly fortuitous. His purpose was to visit a woman who would later become his wife. While there, Wear interviewed for a job with Westchester County. He got the job—and he has never left. In the intervening years, Wear has been a tremendous proponent of GIS and has pioneered the use of GIS for managing communities. He has worked not only at the county level but at the state and national levels. Between 2004 and 2008, Wear was loaned to the National Geospatial Program at the US Geological Survey through the Intergovernmental Personnel Act (IPA) Mobility Program. At that time, he served as a local government liaison during the development of Geospatial One Stop and early versions of The National Map. Currently, Wear is the assistant CIO (GIS) at Westchester County’s Department of Information Technology GIS. The county’s GIS program provides interactive mapping, online data, map services, and tools. It also supports local and county agencies in implementing GIS applications for emergency response, public health and safety, infrastructure management, land-use planning, transportation, natural resource management, and green technologies. It offers GIS-related services and training to local governments, community groups, schools, and libraries. The department has gone beyond the typical work of GIS optimizing government operations and applied GIS to improving the well-being of Westchester’s residents. For example, Westchester County GIS has made interactive maps available to the Food Bank for Westchester, a nonprofit that distributes food to hungry children, seniors, and the working poor. Using these interactive maps, agency staff and volunteers can refer community members to resources. Staff members also serve on state GIS committees and support local government GIS initiatives by helping them obtain grants for projects, studies, and implementation programs. Wear has been especially interested in developing GIS applications for government and nonprofit organizations in the health and human services sphere, an area that has traditionally been on the trailing end of the technology. One such application was developed with the Veterans Service Agency. An interactive map keeps veterans informed of events and places of special interest to them as well as businesses that offer programs for veterans. Beyond using his greater vision of what GIS can do to enhance the county’s work, Wear has always contributed to the larger GIS community. Wear has been involved with the Northeast Arc User Group (NEARC) since its inception and is a two-term past president. An independent, volunteer-driven organization, NEARC was founded to help Esri software users in New England, New York, and New Jersey be more successful. Over the years, Wear has shared his expertise and insights with NEARC members through presentations, workshops, posters, and demonstrations. In addition to his work with NEARC, Wear was also the founder and a board member of the New York State GIS Association. This nonprofit association was founded in 2003. It is government and industry neutral and represents the interests of the state’s geospatial community. It promotes professional development and continuing education for its members. Wear continues to play an active role in the geospatial community. His wide-ranging interests are evident in his posts to his blog, eSpatially New York. 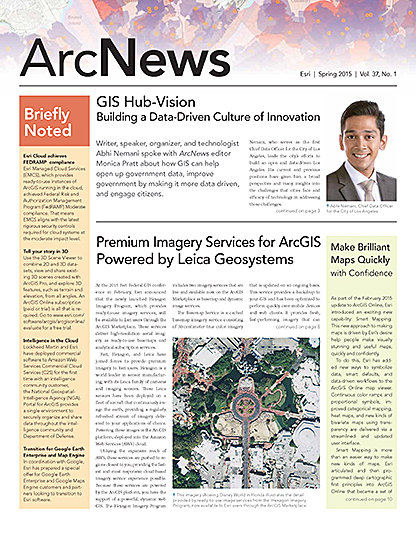 They are filled with information about the latest developments in the technology, industry news, and reflections on where geospatial is and should be going. In his Blue Highways of GIS series on the blog, Wear highlights GIS work done in small villages, businesses, and schools by resourceful people with limited funds who have found interesting ways to use geospatial technology to make a difference. Most recently, he has focused on geospatial businesses—not only traditional service and consulting firms—but also geospatial start-ups and businesses in mobile, cloud, research and development, and open source. 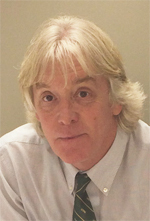 Although he has played a pivotal role in building traditional GIS capacity, he continues to embrace new developments in the technology and encourage the GIS community to look at new ways GIS can be implemented and applied. Read other articles in the “GIS Hero” series.